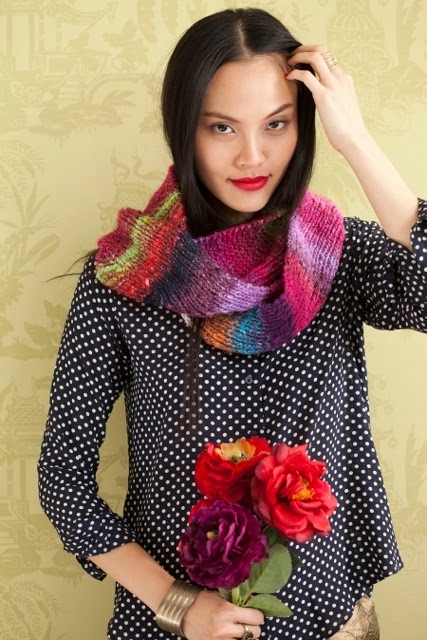 My latest design for a Sinuous Cowl is just released in Knit Noro 123 Skeins. 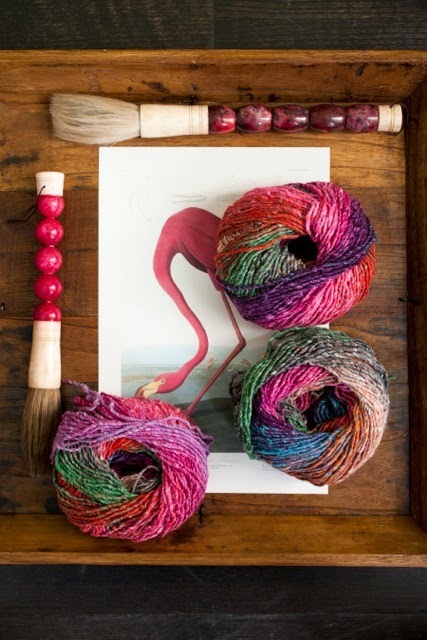 The pictures of Sinuous Cowl by Alice Tang are from Knit Noro 1 2 3 Skeins, published by Sixth&Spring Books. Photography by Rose Callahan and text copyright © 2014 by Sixth&Spring Books. Used by permission. The following picture shows the stitch pattern more clearly. I made another one in scarf form in a solid color yarn so the pattern shows even better. It has garter and ribbing alternating to make waves.